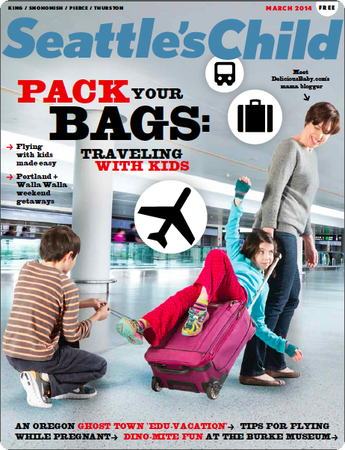 I had the super fun experience of being interviewed for our local parenting magazine, Seattle's Child this month They even featured my family (well, those of us who weren't battling a cold) on the cover! Family Friendly City Guides including nearby destinations Whistler, and Hawaii, plus a ton of recommendations for Seattle and cities further afield. My husband and I developed the TripDoc iPhone app to help us make order out of travel recommendations from friends, magazines, and guidebooks. You give TripDoc a list of all the places you want to visit (your hotel, restaurants, activities, etc) and it finds and plots them all on a single map so that you won't forget a thing. 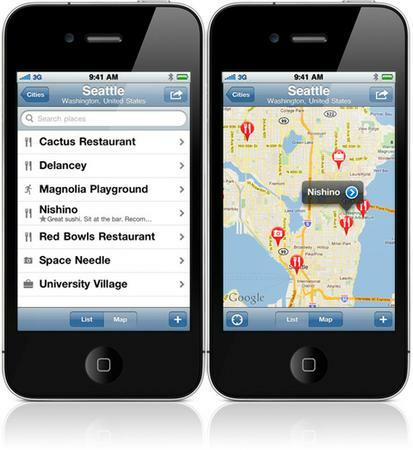 At your destination, you can use the TripDoc map to plan your days, see what's near you, and find your way around. Keep notes about what you like, and then send your recommendations to friends or family! Tripdoc is available in the iTunes app store for just $2.99 and I hope you'll check it out! Elizabeth Sanchez on March 14, 2014 at 12:56 p.m. I'm so sad that I bought this a long time ago and have yet to need it or use it :-( But I"m DETERMINED to take my kids to Paris so I'll let you know how awesome it is once we get there and TripDoc our way around! Ryan A. on March 22, 2014 at 2:27 p.m.
Congratulations on your feature in Seattle's Child. I live in Seattle as well and enjoy traveling with our baby. I have written a bit about it on my blog. I am glad that there are other travel blogs out there about traveling with small children! Hannah on March 26, 2014 at 5:29 a.m. It would be nice to have just one general food app for food right? Hahaha. Just so that everyone would just be in one place. Cheap Beach Hotels in UK on April 8, 2014 at 5:10 a.m.
Hamish Healys on April 8, 2014 at 10:38 p.m.
Those are 3 lovable kids! Why am I not surprise that you have them with you when you do your travelling? Ronny on May 12, 2014 at 1:05 a.m. While it's not the Rolling Stone, it's always nice to get on the front cover of a magazine ... congrats! Mike M on May 22, 2014 at 9:13 p.m. Awesome to be on the cover, it's a great magazine!